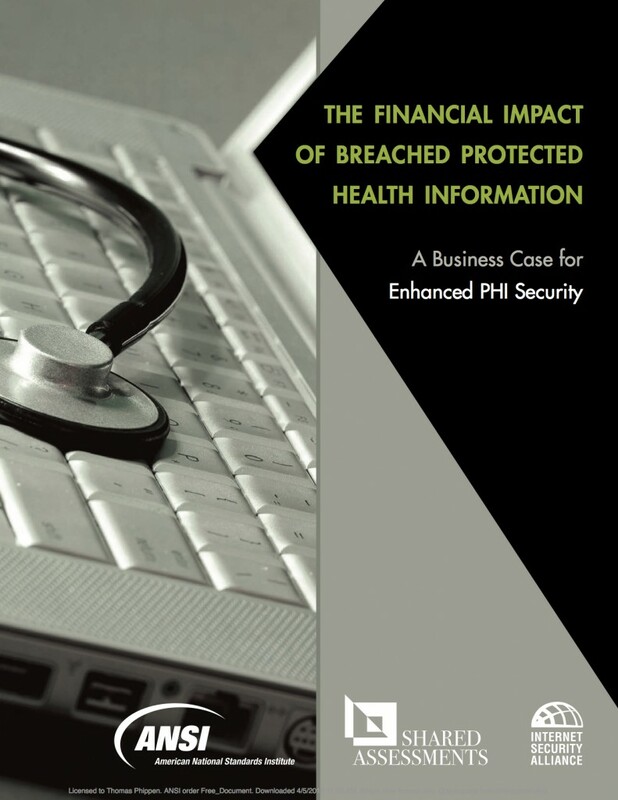 With the release today of The Financial Impact of Breached Protected Health Information: A Business Case for Enhanced PHI Security, health care organizations now have a new method to evaluate the “at risk” value of protected health information (PHI) that will enable them to make a business case for appropriate investments to better protect PHI. This report was created through the “PHI Project” – a collaboration of the American National Standards Institute (ANSI), via its Identity Theft Prevention and Identity Management Standards Panel (IDSP), in partnership with The Santa Fe Group/Shared Assessments Program Healthcare Working Group, and the Internet Security Alliance (ISA) – that involved a cross-section of more than 100 health care industry leaders from over 70 organizations. The report is available for free download at webstore.ansi.org/phi.